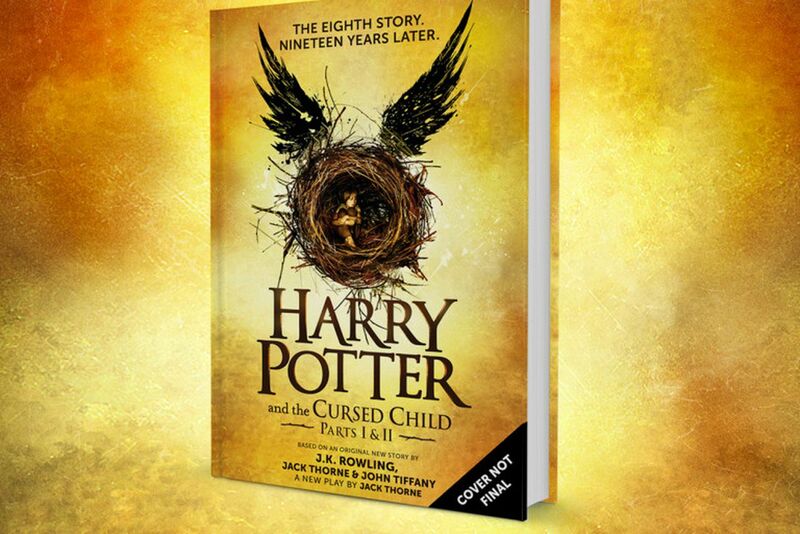 The Broke and the Bookish : Harry Potter and the Cursed Child WILL BE RELEASED AS A BOOK. THIS IS NOT A DRILL. I could not believe me eyes when I saw the news! I wanted to jump and squeal but I was at work and I'm kind of too old for that anyway! But I'm super excited that we'll get to actually read it, because as I live in Ukraine, I knew that I would never get to see the play. So, yeah, I'm really-really-really looking forward to it. But I won't deny that I'm also scared in a really big way. I'm afraid that it will completely overturn everything that I think I know or want to know about Harry, Ron and Hermione as grown-ups. I have been under a rock. I didn't know about this!! A play, huh? Neat, though like you, no way to see it. But I'll definitely be reading the play-turned-book. Thanks! I AM SO EXCITED IT'S CHRISTMAS IN JULY!!! WHAT. I clearly have been living under a rock, in the middle of the ocean, on another planet, in another galaxy. I. CANNOT. WAIT. SOSOSO EXCITED!!! How could I not have heard about this??? I don't think it would be as good as a novel would, but... more Harry Potter!!!! They were talking about this on the radio this morning and I seriously almost drove off the road-I can't wait for it to be released!! I may have to do a HP marathon beforehand and re-read all the other books :) That would actually be a cool spring/summer project! Yes to all the GIFs... that's exactly how I feel. I'm hoping a bookstore has a blow out party for the release.